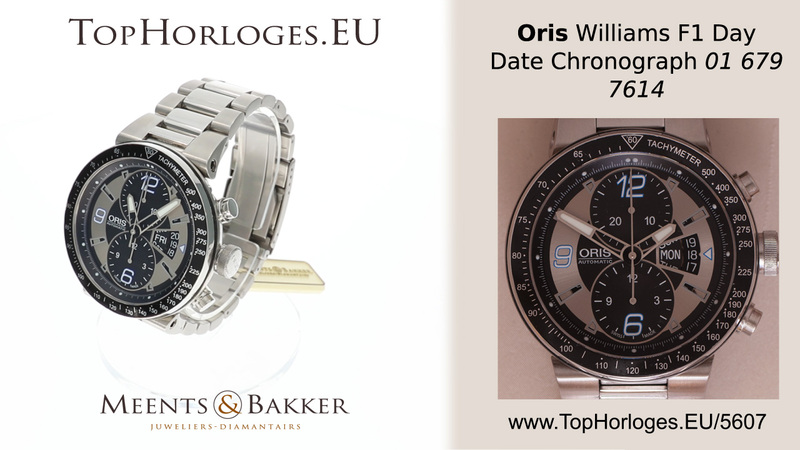 Een weinig gedragen Oris Williams F! 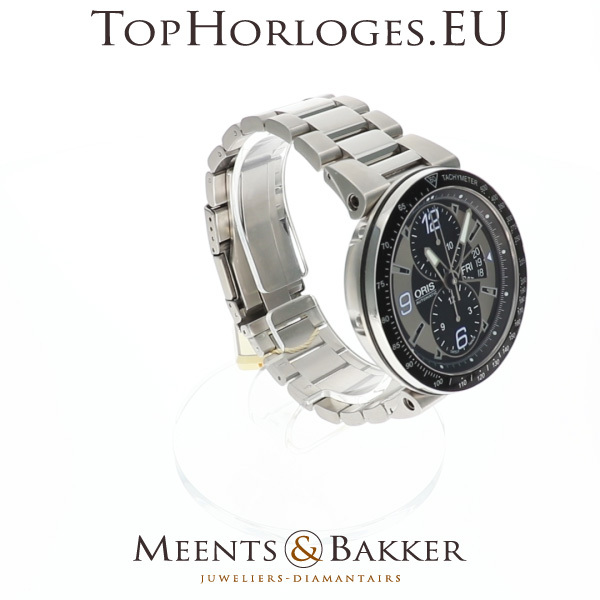 chronograph in het staal met stalen band. Met dag en datum aanduiding. 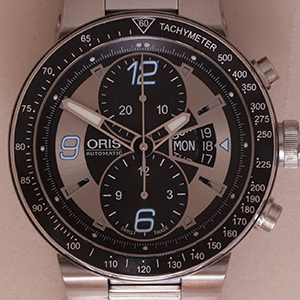 Verry good condition, Oris Chronograph in steel with steel bracelet. 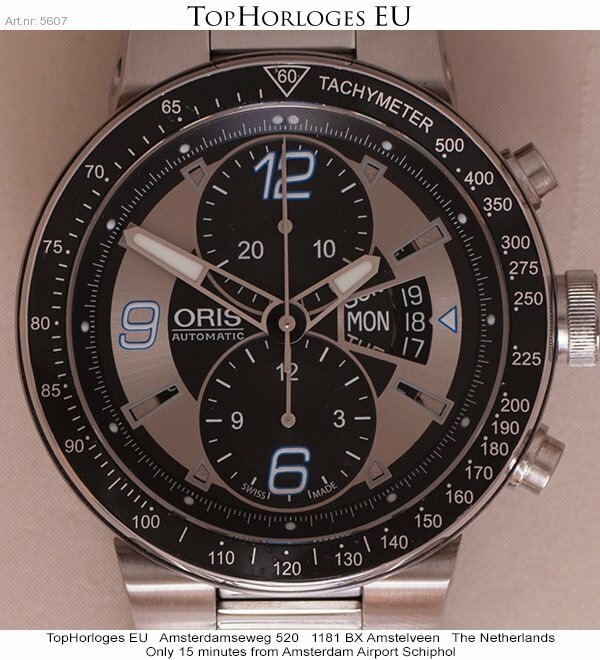 This Williams F1 day-date comes with the box and papers and a certificate of our shop with 12 months warranty.